It seems as though Porsche wasn’t terribly happy about Lamborghini snatching its Nurburgring production car lap record with the Aventador SVJ. 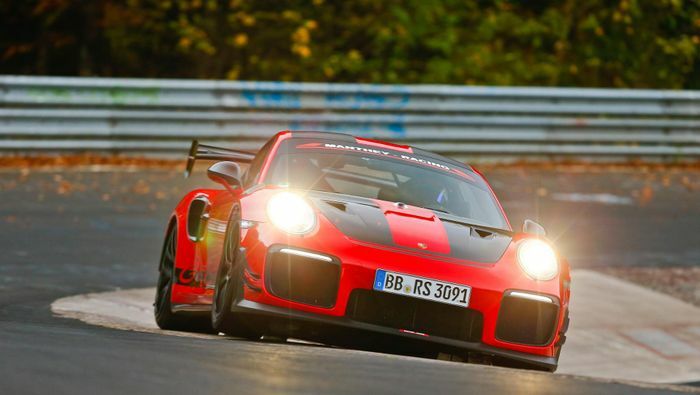 The German manufacturer has been back at the Nordschleife with the 911 GT2 RS, in the process sort of reclaiming the car’s place as King of the ‘Ring. Manthey’s 911 GT3 RS MR has GT3 R-derived shocks and magnesium wheels, to give you some idea of what’s been done to the ‘GT2 RS MR’. The changes did the trick, as the car clocked an 06:40.3 - about seven seconds faster than the standard version, and nearly five seconds faster than the SVJ. 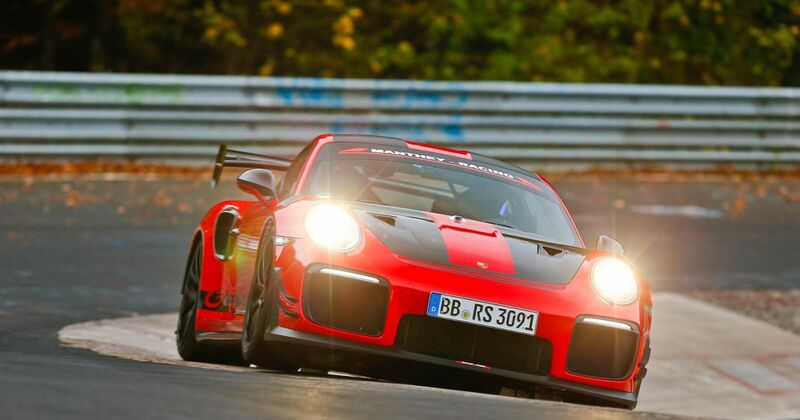 Porsche is claiming this gives the fettled GT2 RS the title of “the fastest road-legal sports car on the ‘Ring”. While this could be considered as another sign of the Nurburgring record silliness we talked about recently - where manufacturers are searching for ever-more niche ‘records’ to claim on the Green Hell - we’re nonetheless looking forward to seeing the full lap video. 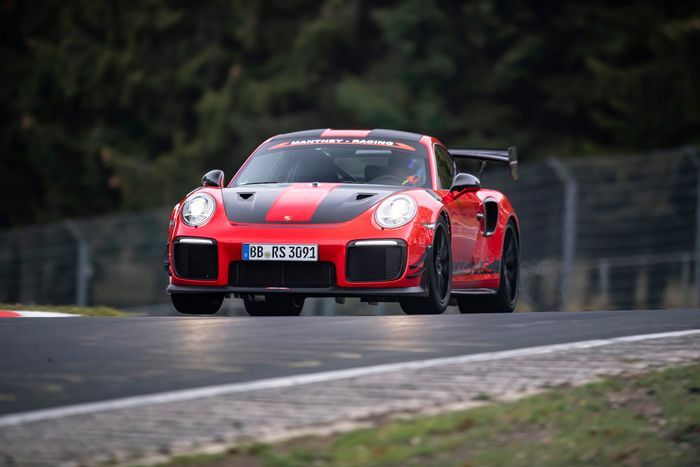 Behind the wheel was Lars Kern - the same Porsche test driver to snag the record in the standard GT2 RS - and we’ve no doubt the footage will show displays of incredible driving skill and commitment. Update: You can now watch the full lap via the embed below. As you’d expect, it’s incredibly impressive!